Creating a monthly timesheet can be somewhat overwhelming. There is quite a lot of input required from you so much of your attention is a requirement. 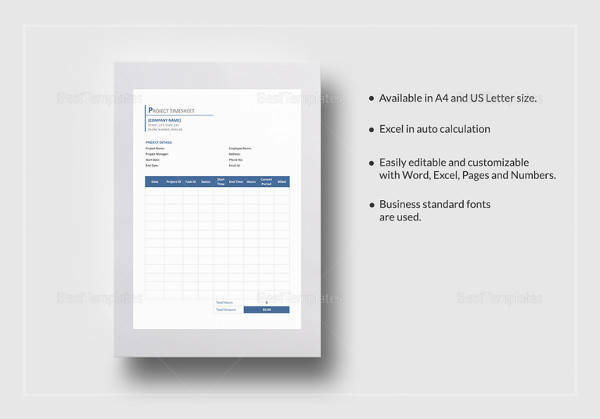 With high quality monthly Timesheet Template available free for download on this page and all over the internet, you can take the advantage of the free offers and use the templates available without ever having to worry about creating your own. 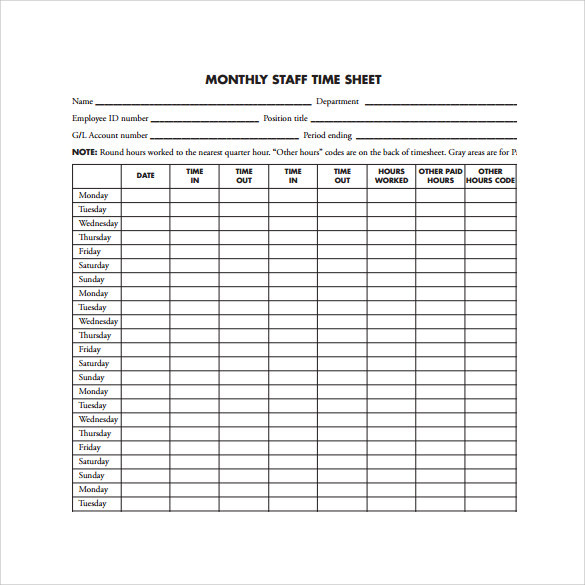 The Monthly Staff Timesheet Template sheet is a timesheet with a monthly snapshot of productivity in respect of the employee’s time-in and time-out details. These can be used in plants and manufacturing units to calculate the employee’s total productivity. It is a simple template with basic details of the employee – his name, Department, Employee ID, Position etc. 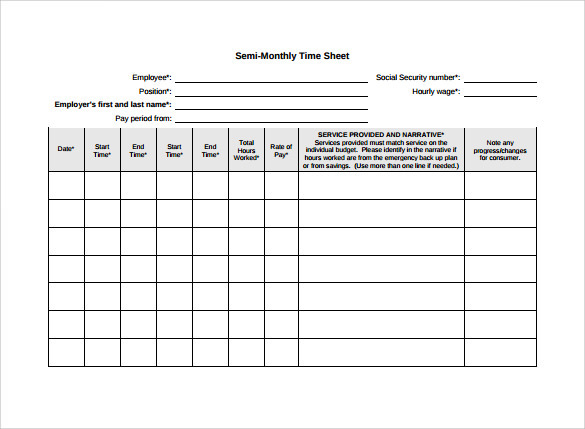 This Employee Monthly Timesheet Template is divided by week to give you a more objective view of productivity of the specific employee. 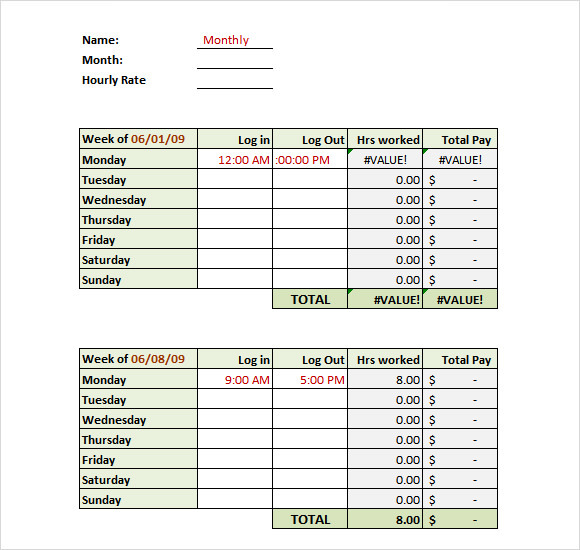 These templates are ideal for organizations where pay is linked with weekly performance of the employees. At the top of the template are the employee details like his name, Supervisor details, brief description of the task for which the productivity is measured etc. A timesheet is a method for recordings and tracking the amount of time spent on specific tasks and activities over a period of time. 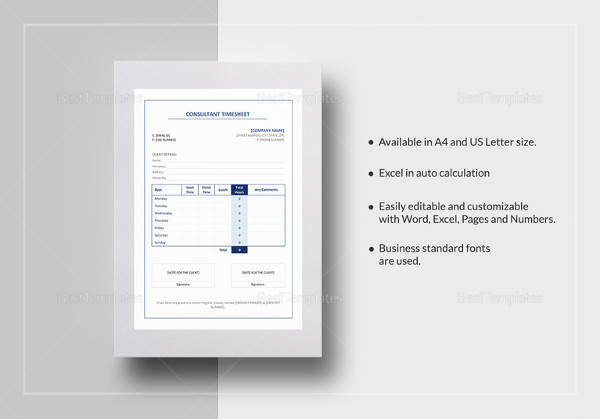 On a day to basis they can be maintained in word, excel or pdf formats. 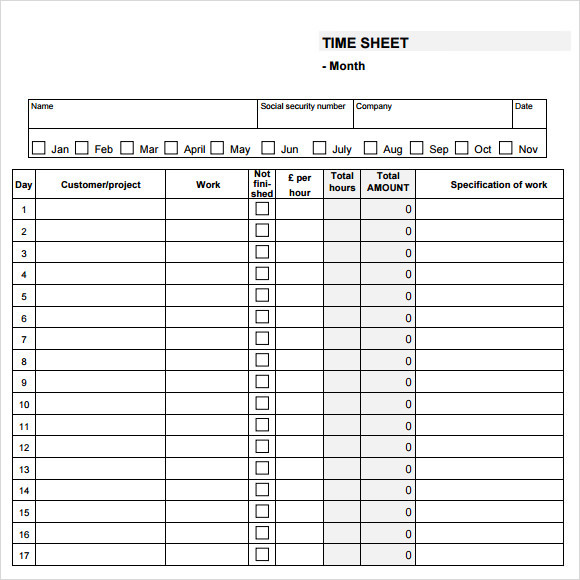 Timesheets can be used by any one individual or department in an organization – Finance, Human Resources, Production and Manufacturing or even for calculating pay checks. 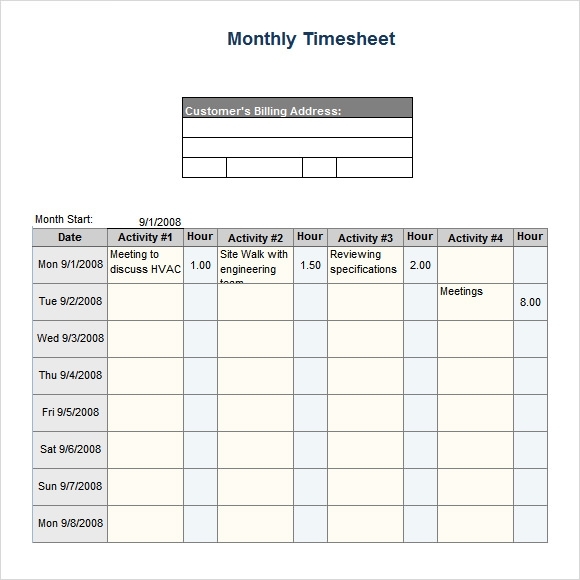 Timesheets can be in monthly timesheet formats or weekly and daily ones. 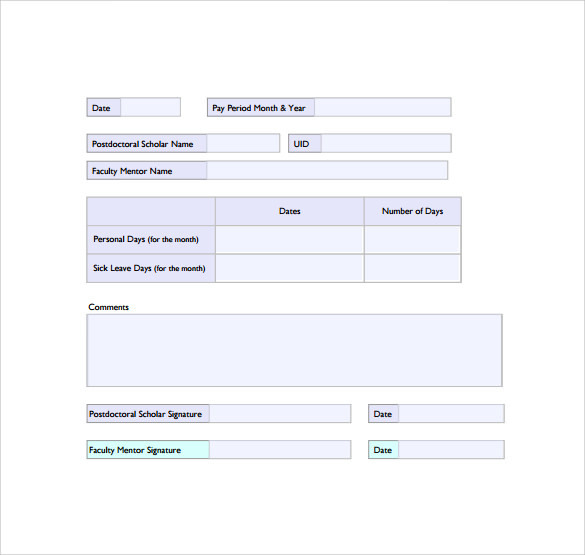 Weekly timesheets are used to enter or record several days’ tasks at a glance. There are single activity timesheets also which are helpful for monitoring the activities of a single day. 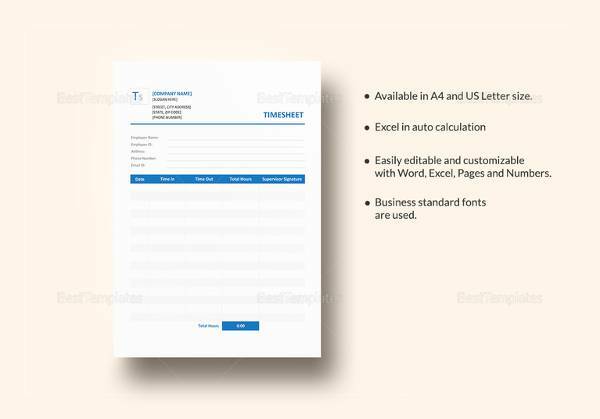 Timesheets can be prepared in Word, Excel or pdf formats which can be editable, freely downloadable and printable. 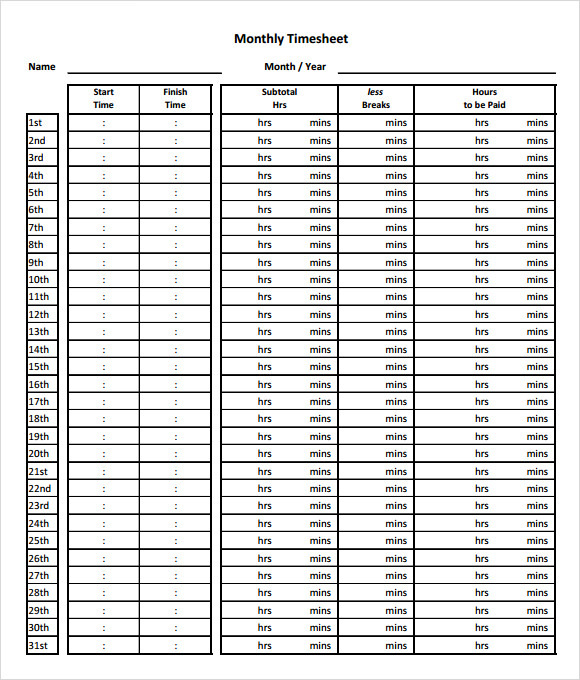 Free printable monthly timesheet templates are also available online for download. 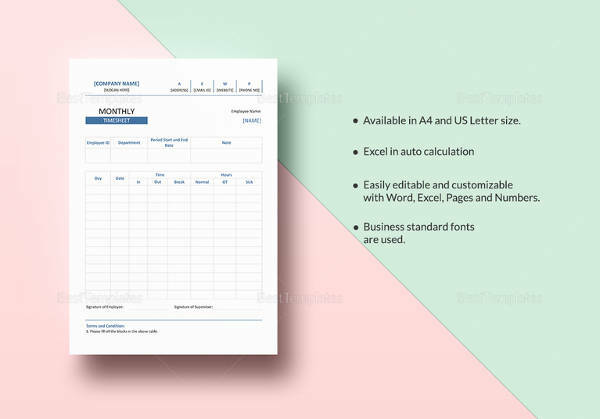 The excel monthly timesheet template with formulas are very easy to maintain and use because excel calculates the results for you. 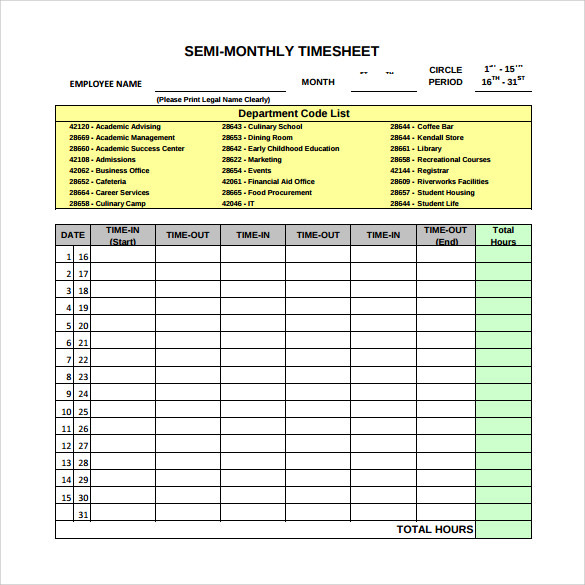 The Semi-Monthly Timesheet Template is a bi-monthly format which can be used by a large organization to calculate productivity by department. The department codes are mentioned at the top of the template which can be edited to suit your purpose; and the productivity in terms of hours spent can be mentioned in the table below. 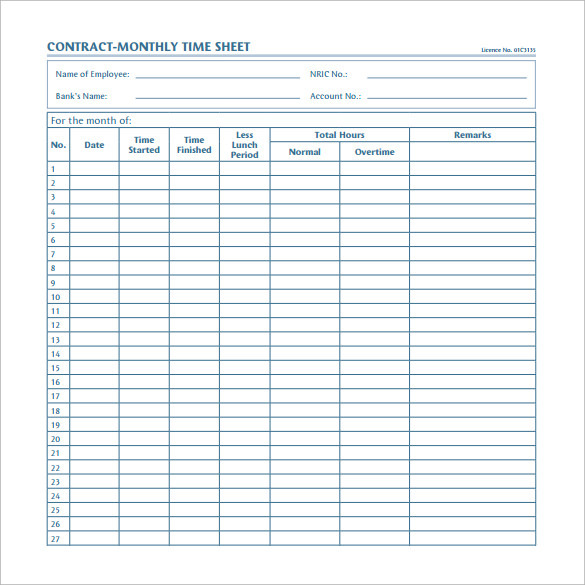 This Contract Monthly Timesheet Template is an easily downloadable and printable format prepared in Ms Word. It is ideally for use by supervisors to calculate regular as well as Overtime of employees. It also has a section for recording the total time spent for lunch for a more objective calculation. 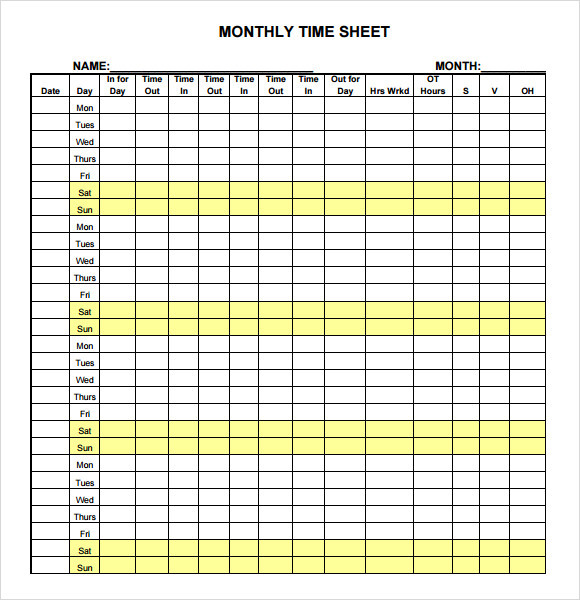 The Monthly Timesheet Template is a PDF-based timesheet which can be easily downloaded and printed out of a local printer. 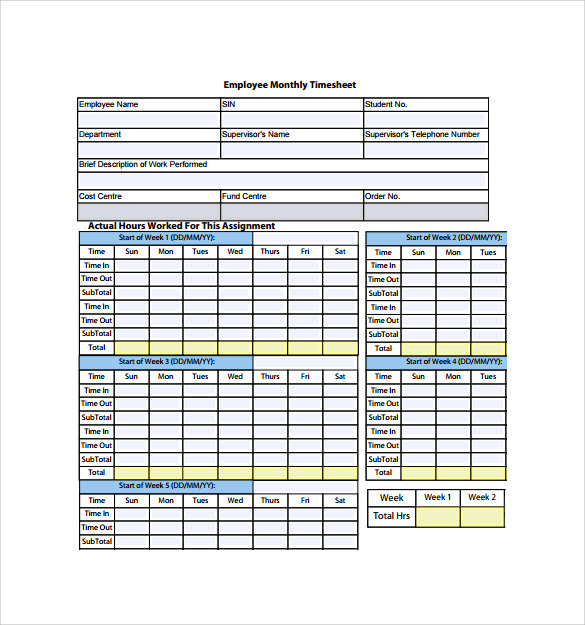 Although it is a Monthly template, it can also used for specific days of the month when a particular task has been assigned to an employee which need to be recorded and monitored. 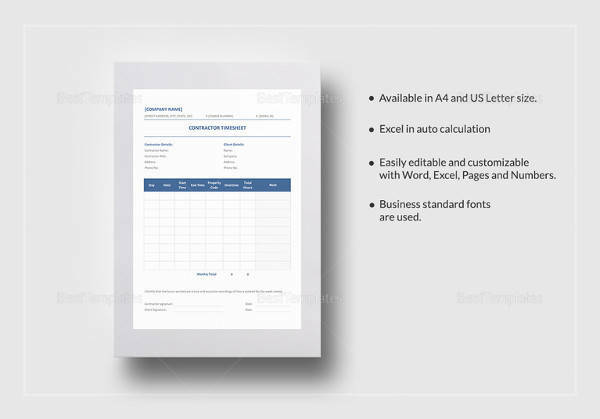 This is a sleek template which can be used as a monthly Timesheet. 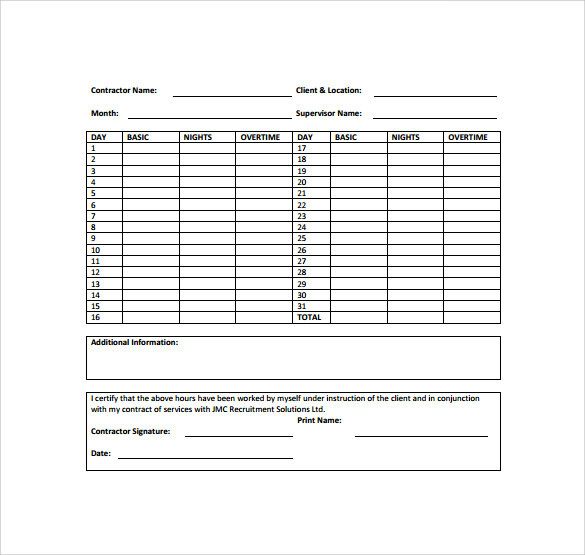 It is a template which is used by contractors to record the worker’s basic, night and overtime hours of work. 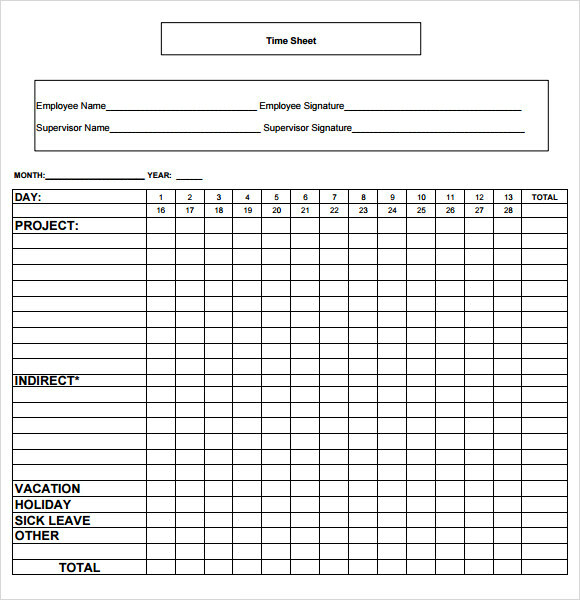 This template can in one glance tell you the total man hours spent on a particular assignment. It also has a section for recording additional information. Timesheets are primarily used for calculating productivity over a period of time. They can be used in project management, manufacturing departments, human resources or finance. Tracking time and productivity reduces and organization’s costs by making payroll processing more objective and transparent. They also help in automating billing and invoicing. Timesheets can be prepared by inserting tables in ms excel or word. In excel it is easier to create timesheets because you can easily put formulas. Manual calculations thus can be eliminated. 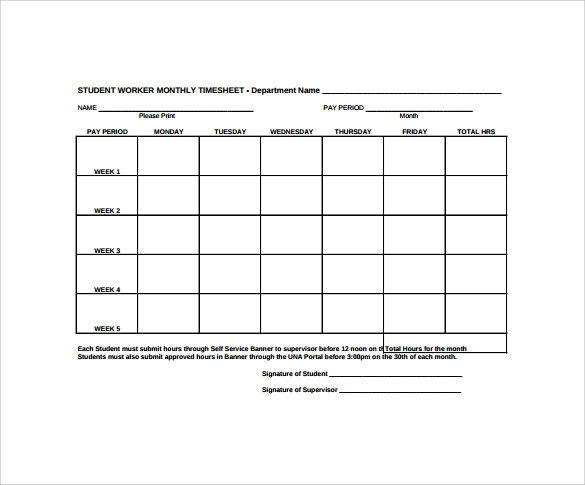 This Student Worker Monthly Timesheet is ideal for students who are engaged in part-time tasks and projects. It’s a monthly template giving the week-wise man hours spent by the particular student. These can be used for calculating their pay. The Consumer Semi-Monthly Timesheet is maintained by the Supervisor or Co-ordinator for accuracy. This is duly filled in by the consumer mentioning the Start time, End time, Total working hours and the rate of pay. The details of the service provided can also be mentioned in a separate column with an additional column for comments etc. It can be easily downloaded and printed out. 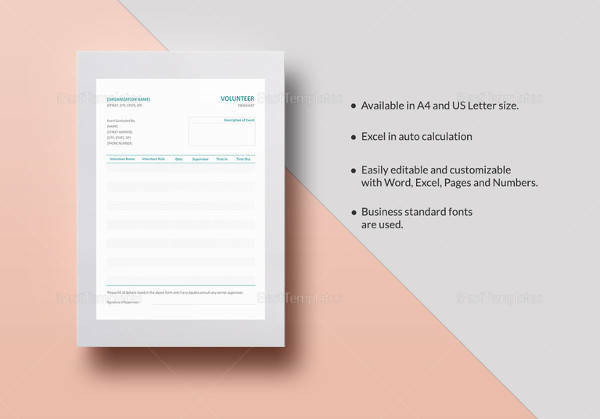 The Scholar Monthly Timesheet Template is used by Professors and Lecturers of Universities to maintain a record of the students doing research under them. It is a neat format which is based on Ms Word. The cells are colour coded and give a chic look. 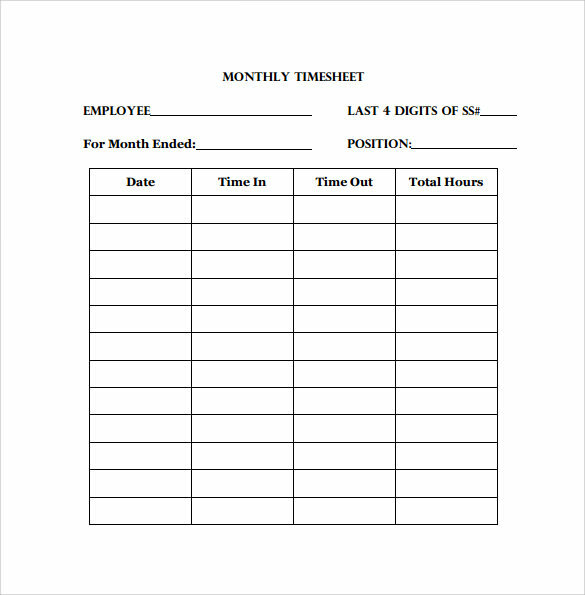 With a printable timesheet template, you can record the number of days an employee is expected to work within a given month, the time they are required to start working, the finishing time as well as their payment. The data keyed in must be accurate, non-biased and easy to understand and interpret.